I provide OUT-CALL MASSAGE services ★FOR GAY/BI/STR8 MEN in the comfort of your HOME or HOTEL across the London. I offer you male to male massage that will align and invigorate your body, mind and spirit and leave you feeling recharged and balanced. My hands will give your body that needed relaxation as I focus special attention on all areas of your male body. I will work with you to establish the ultimate experience you want and deserve. Massages are tailored to your specific needs. Relieve stress, relax muscles, improve flexibility, and enhance your immune system with my massage services. Experience and enjoy while I put my strong hands, intuitive and invigorating touch to work relieving anybody stiffness or pent up tension you might have. My sessions begin with palpations and effleurage and move slowly into warming up the back for deeper pressure and detail work. The massage moves to arms, buttocks, and legs. 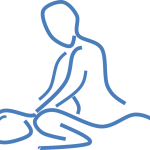 Then in the supine position I work the neck, shoulders, arms, chest, abdomen, hips and legs. I always enjoy the time I spend with you. Let me know your special needs and we can incorporate them into our session. I cater my services to straight, bi curious and gay massage clients. Let me introduce you to a type of male massage that help to bring you a shift. If you want to experience the ultimate male to male massage experience, you just have to TEXT (SMS) or CALL and book a session with me now.